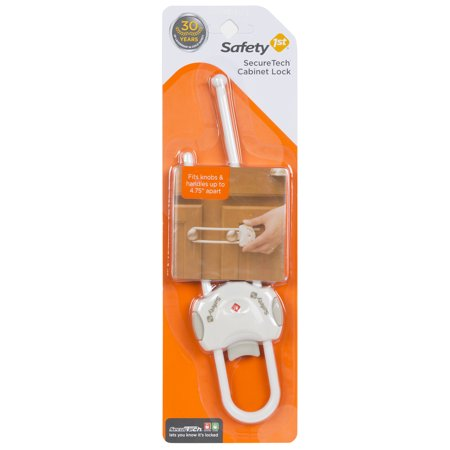 Safety 1st SecureTech Home Safety Cabinet Lock Only $4.86! Help keep your curious crawler out of side by side cabinets with a SecureTech Cabinet Lock by Safety 1st and only $4.86 on Walmart right now. It attaches easily to either knobs or handles with no drilling required and features an easy-to-understand indicator that lets you know with a glance that it’s properly locked.